This is the case when you do not have to spend time on craft, search for rare types of resources and battle with a huge crowd of evil monsters. Seed flowers and caves for MCPE 1.2 will allow you to take a break from the gray days and relax. You will find a real relax, interesting meetings, and pleasant walks. Both at the top and under the ground. Find all the caves, count them and tell us in the comments how much you managed to find. Thus, it will be possible to track who is the most resourceful and who managed to find all the caves available at the location. 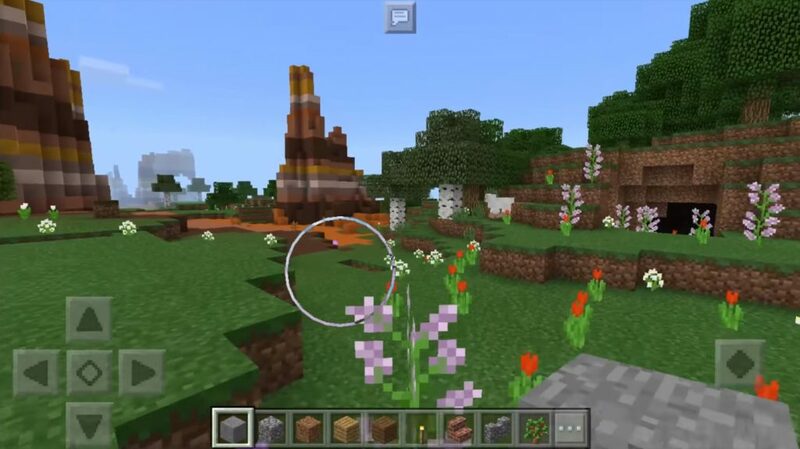 In Minecraft Pocket Edition you could visit other seeders, go through new maps, but every day something new appears, and it is always advisable to pass through it. So you are always aware of all the events and you know what other crafters live. What interesting will the seed on the flowers and caves give? In addition to caves and flowers, there are other interesting places in this location. They should also pay attention and do something useful for them for more complex survival. Look at the growing trees on the hills – what do you notice next to them? 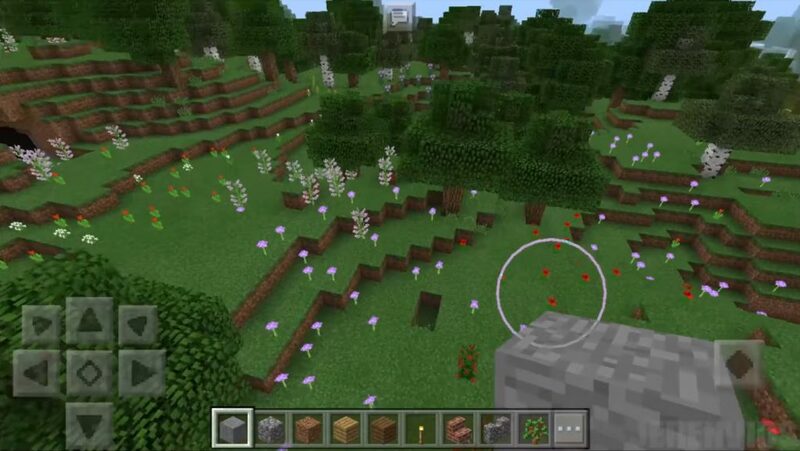 Seed flowers and caves for Minecraft PE 1.2 is very simple and short and we would recommend to visit it. Unless of course you have any more global goals and plans in MCPE. And since the passage of this location does not take you much time, visit the other see and fight with evil monsters.